Marcus Trescothick is an English cricketer who has served as captain of the English National Men’s Cricket team. He was born on the 25th of December, 1975 in Keynsham, Somerset, England. A right handed opening batsman, he also serves as the occasional wicket keeper. Trescothick was immersed into cricket from an early age since his father was a amateur cricket player himself. After an excellent spell at school he was awarded a Somerset scholarship in 1993. He quickly established himself as a regular member of the team and caught the attention of the National selectors. Trescothick made his One Day International (ODI) debut seven years his first match for Somerset, against Zimbabwe in July 2000. His Test debut, against the West Indies, came in the very next month. His ODI debut was spectacular, as he scored a massive 79 though the team underperformed as a whole, and Zimbabwe easily won the match. He even scored a half century in one of the innings of his first test match. Marcus Trescothick continued his good form which made him shine in the debut with a Man of the Match-winning 87 not out against the West Indies at Chester-le-street. He even bowled well in a few matches. His crowning glory came when he struck twin centuries against West Indies at Edgbaston, becoming only the 9th English player to claim a century in each innings of a Test match. He also had the reputation of being a sharp slip fielder to boot. During England's tour of India in February 2006, Trescothick suddenly returned home citing personal and medical reasons. He asked to be dropped out of the squad the ICC Champions Trophy stating stress-related illness. It is believed likely that Trescothick had been suffering from clinical depression, which created problems in his career, which at the time was at its peak. He fought hard to come back but with the illness swelling to a crescendo, Trescothick was forced to give up international cricket in 2008. Marcus Trescothick has represented Somerset in County Cricket since 1993. On 31 July, 2009 he became the first player in the country to score 1,000 first-class runs in that year’s season while batting in the first innings of the County Championship match against Nottinghamshire. Trescothick's regular selection for England implied that he was rarely available for domestic and county selection between 2000 and 2006, and he often played only a few matches for his team at the start of the season. 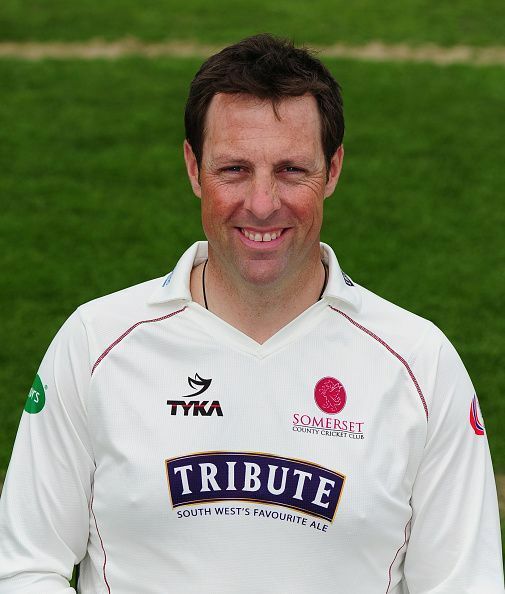 Trescothick was called upon to captain England after his teammate Michael Vaughan sustained a knee injury. His batting form remained consistently commendable throughout his captaincy. His term as captain was brief as he led the team for only two tests and ten one day internationals. England's Ashes 2005 winning team: Where are they now?